RamZar you are doing a great job man !!! RESPECT !!! Confirmed Tropen is in stock! do you have Spyderco tropen in stock? "Yes sir. We do have them in stock. Let me know if we can answer any questions about it. Could get it shipped out today. $170 shipped"
Para3 52100 ComboEdge Peel Ply CF H.L. Dalis is available at some dealers. It was knifejoy now showing out of stock. You can always message them on their fb page that's where I got that response from. Delica4 HAP40/SUS410 Solid CF Fradon Lock (Japan) is in stock. Any news on the Drunken yet? i thirst. Anyone know if that carbon fiber Delica is linerless? "The other remarkable feature of this Delica 4 Exclusive is its handle, which is constructed with full skeletonized stainless steel liners and carbon fiber scales. " 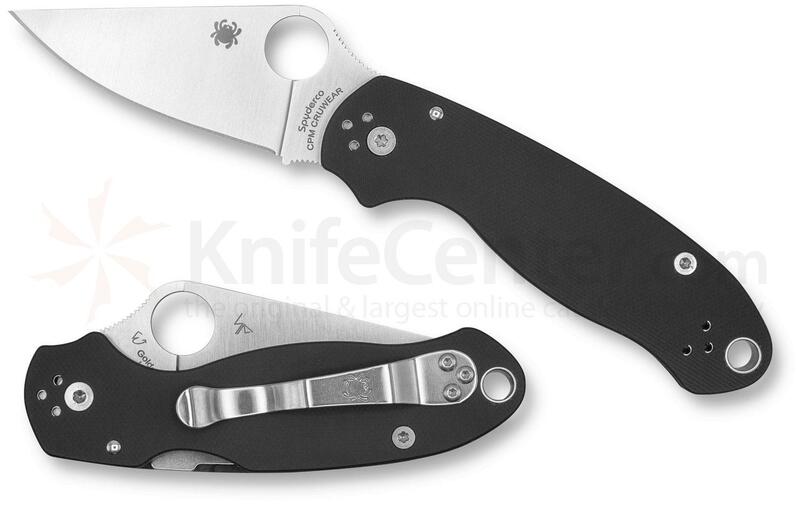 Para3 CRU-WEAR Black G-10 KnifeCenter is in stock. Mildly surprised this hasn't sold out. Looking forward to mine. It feels like KC didn't promote this release at all. Nothing on their social media, or even on the front page of the site. The recent releases that sold out quickly were hyped up big time before they dropped. I agree. I'm on KC's site all the time and nary a heads up before or after to an old customer. Heard about here. Almost like they wanted to make it a secret. Was the KC Para 3 showing "In Stock" when you guys placed your orders? Just curious because I completed the transaction and noticed on the order summary page it showed 1 ordered-0 in stock. I guess I'll find out if my card is charged. Have a good day! It's showing in cart but "ships in 2-3 days" I think this means it's still at their distributor or Spyderco. I've cancelled a few orders from them because of this and I could get it somewhere else faster, but being exclusive that's not a choice here. 50 of 76 (66%) new models delivered so far in 2018 are Sprints/Exclusives!